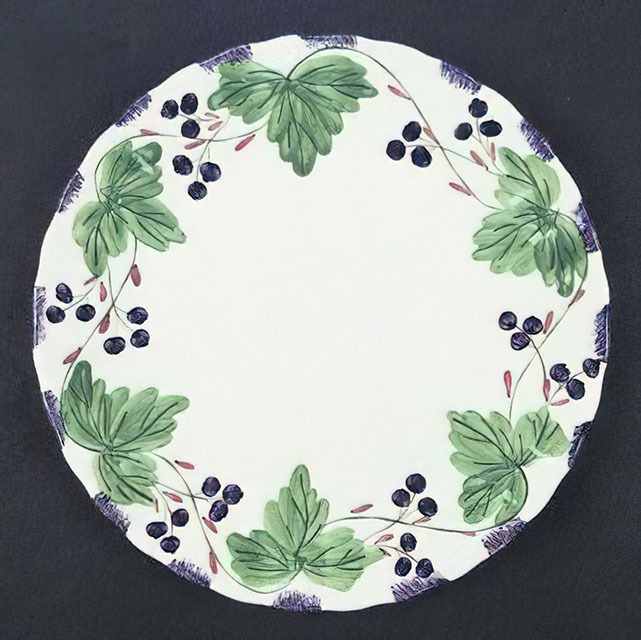 In general, these pattern names are based on the names given in John and Frances Ruffin's three books, Blue Ridge China Today, Blue Ridge China Traditions, and Blue Ridge China Treasures. 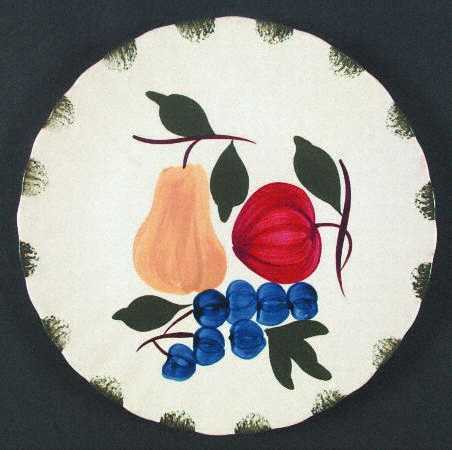 My intention is to add as many pictures as possible to aid those who don't have access to any of the various Blue Ridge books, but I'll need some help to do it. 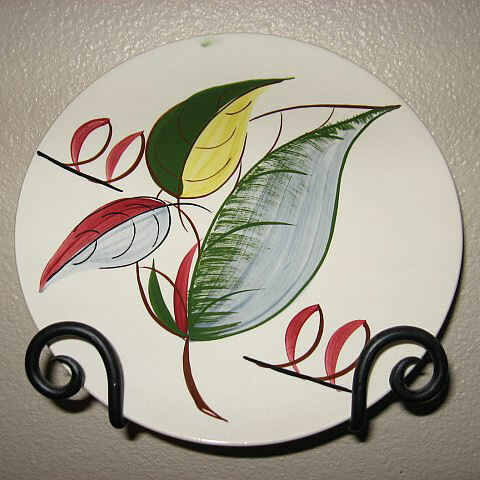 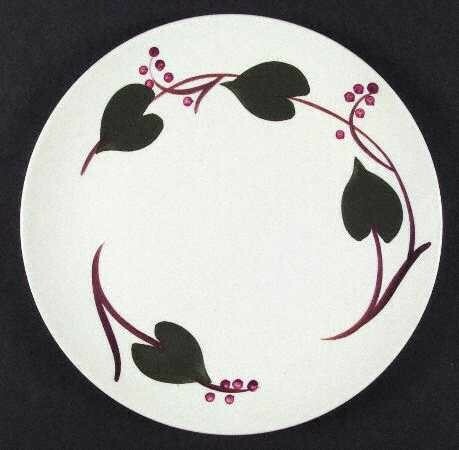 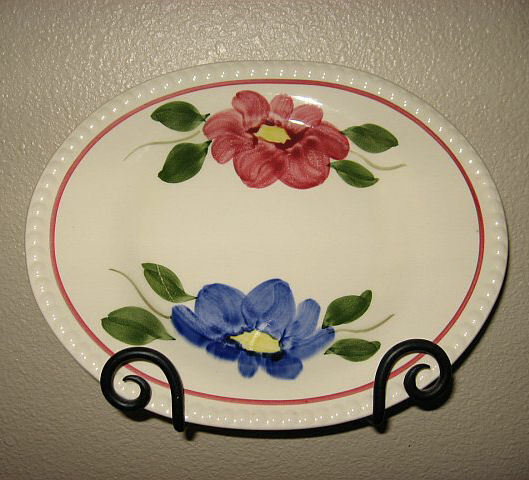 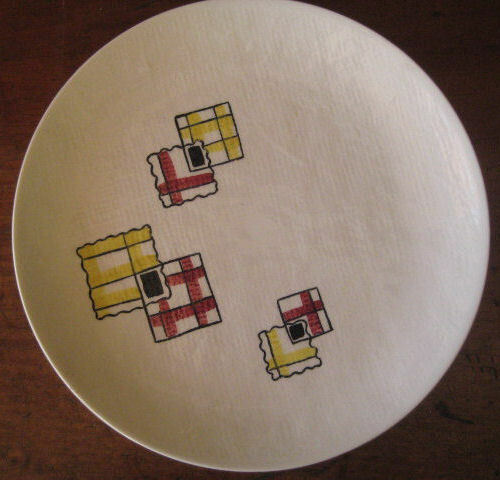 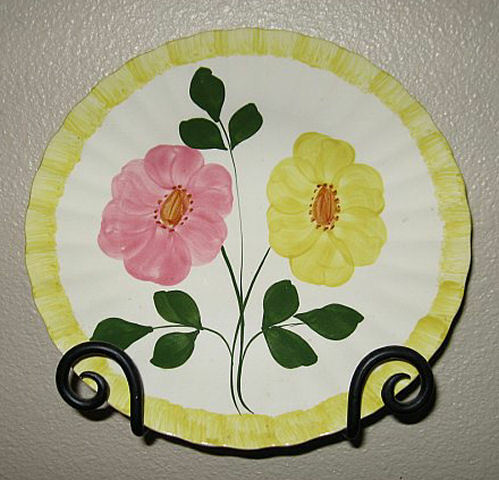 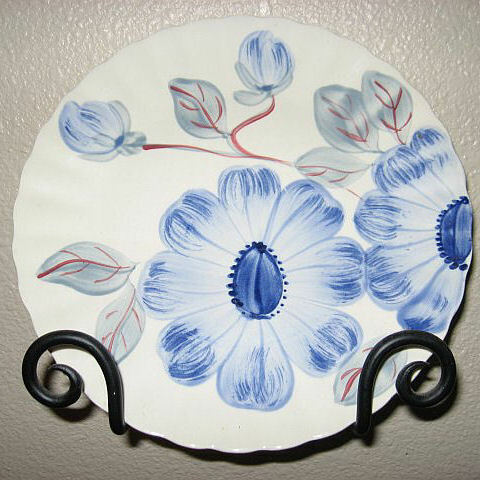 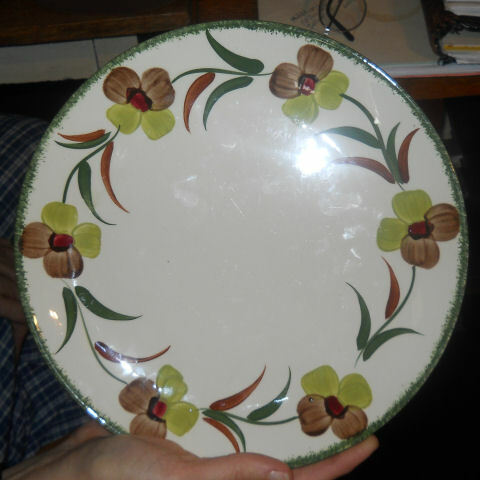 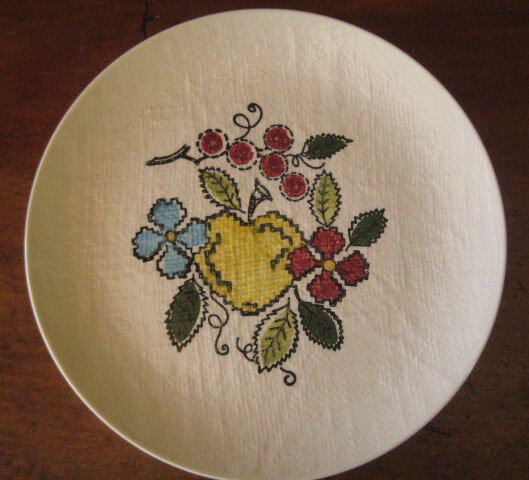 If you have any pieces of a pattern for which a picture isn't shown, you can help others by sending a picture (a dinner plate works best). 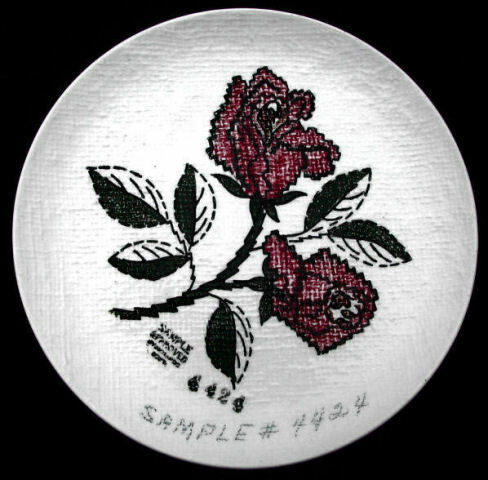 Also, if you have a pattern (and number) that is not shown on this page, that information would be greatly appreciated as well. 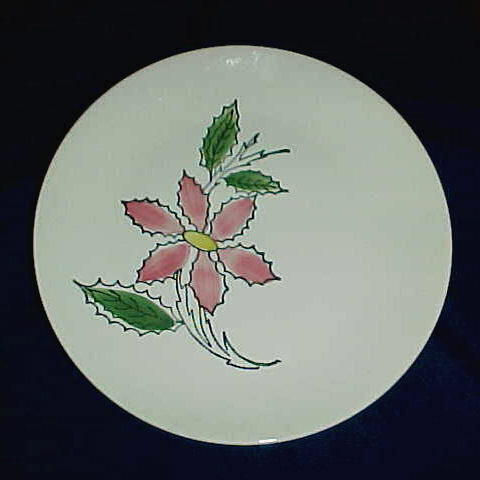 I get many requests to identify patterns as well. 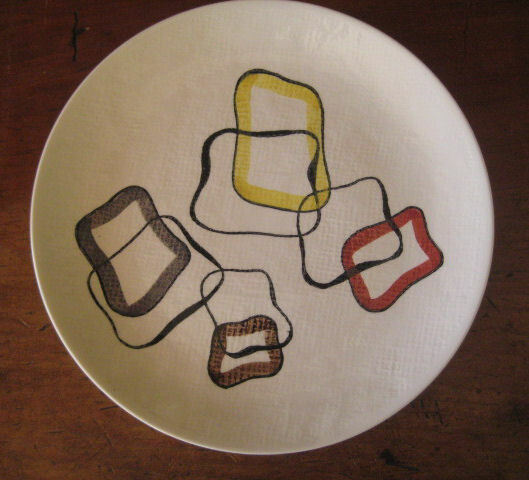 If you'd need help identifying a particular pattern, I'm happy to do that. 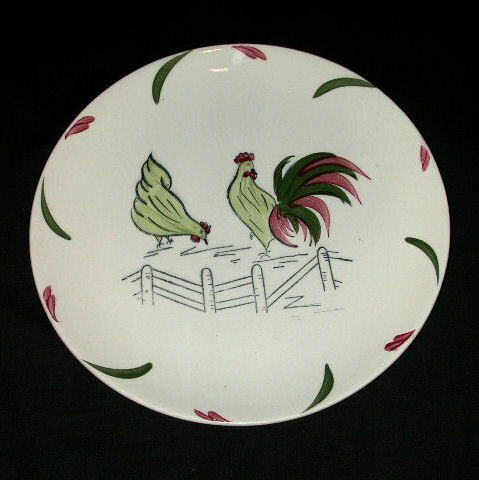 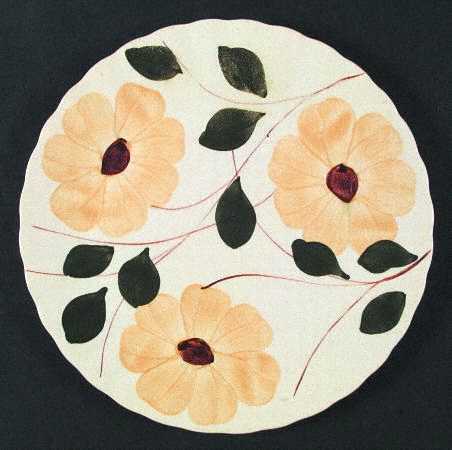 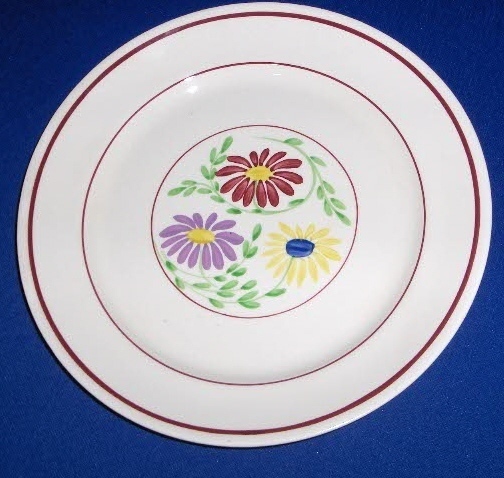 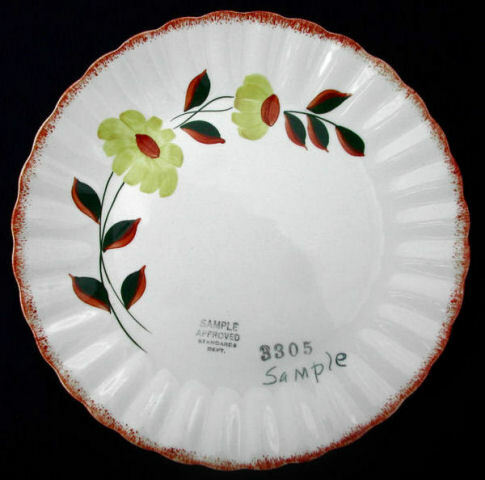 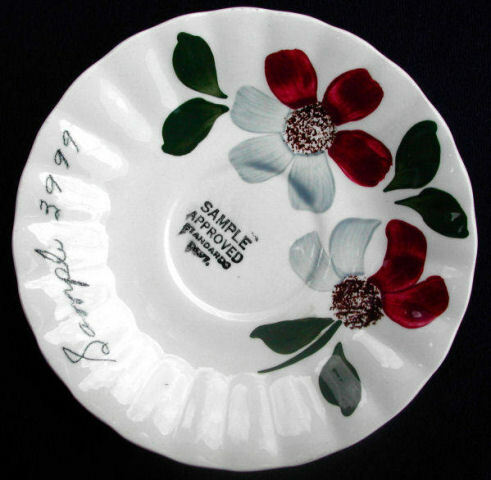 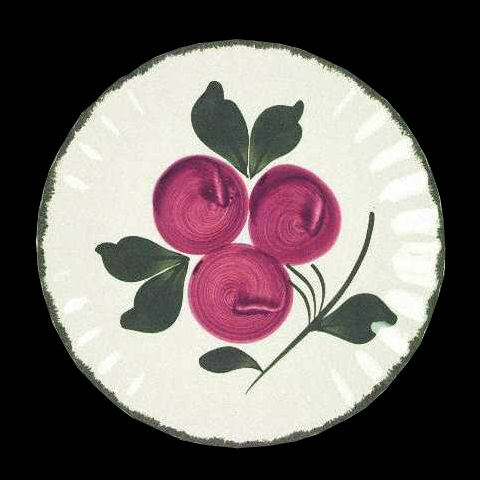 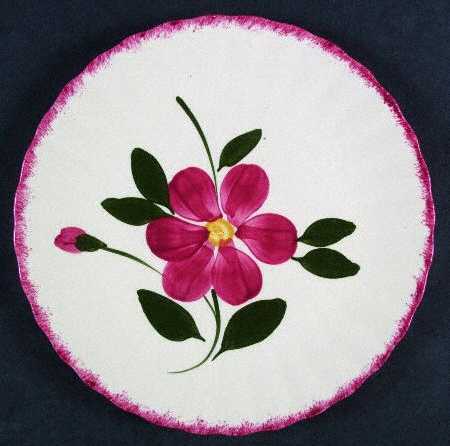 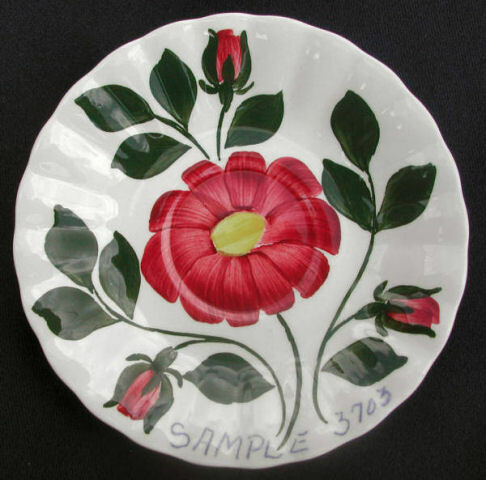 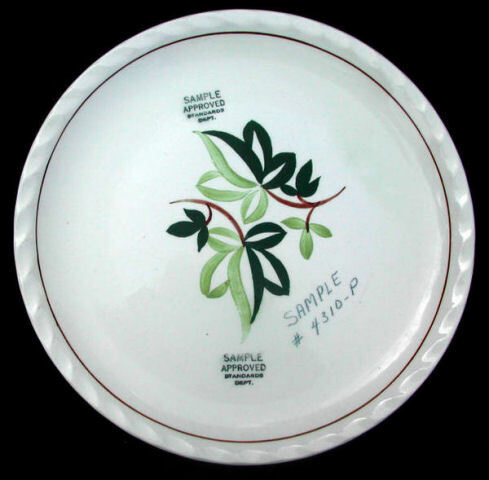 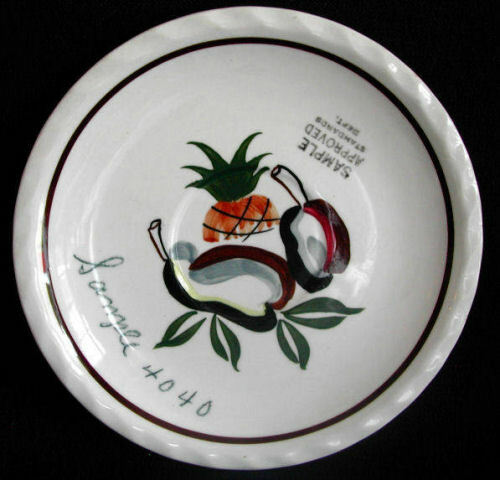 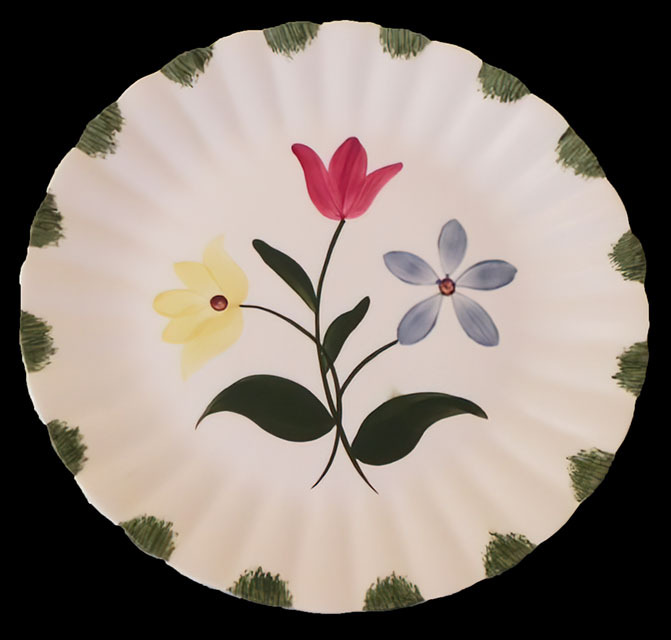 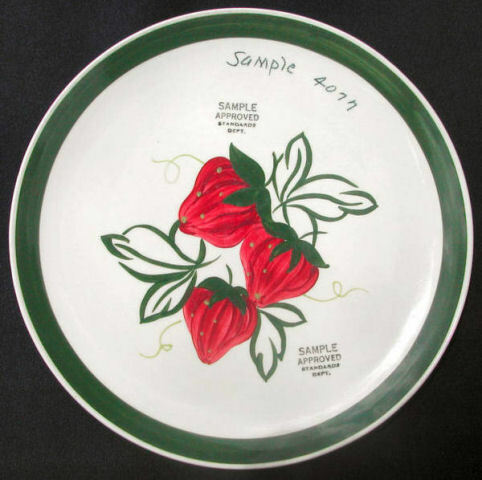 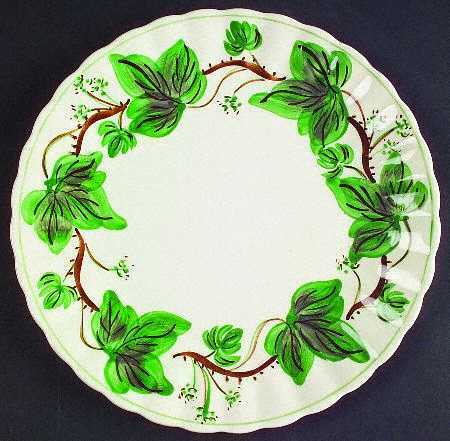 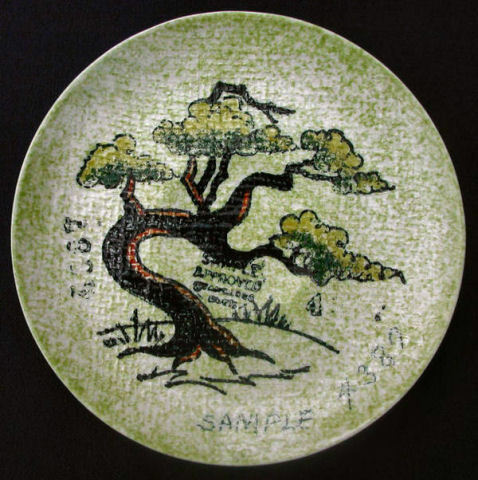 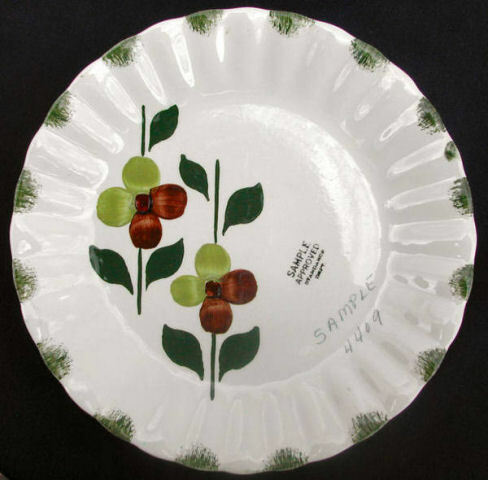 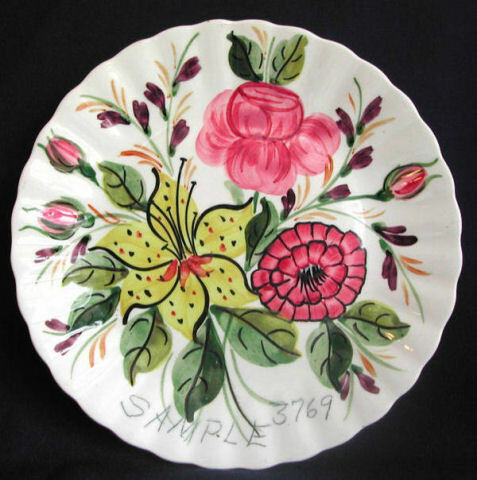 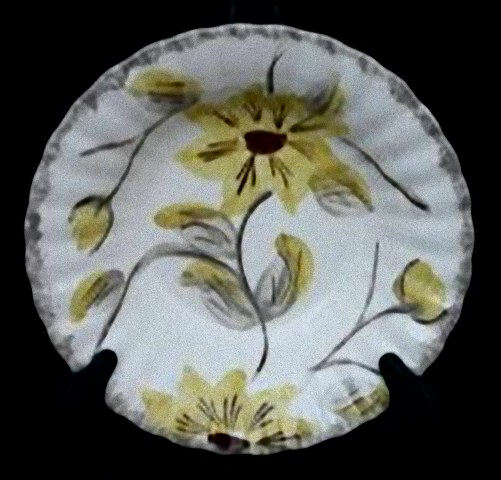 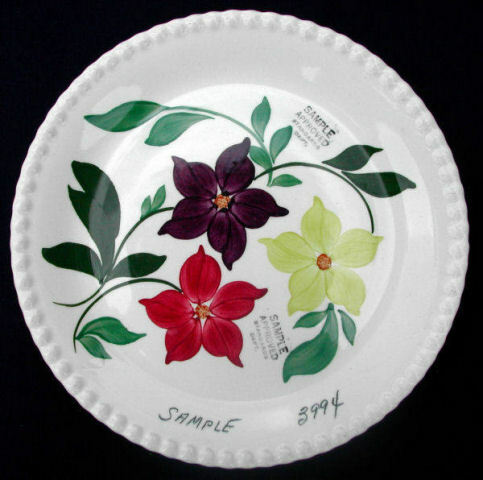 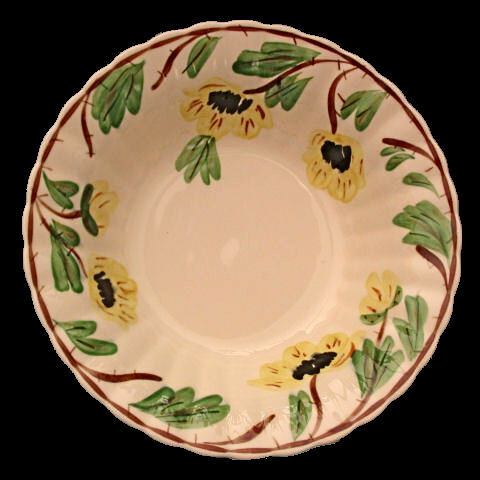 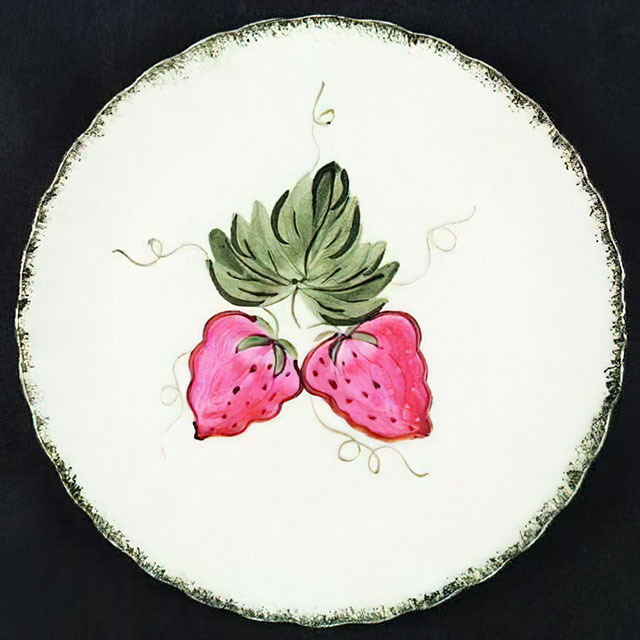 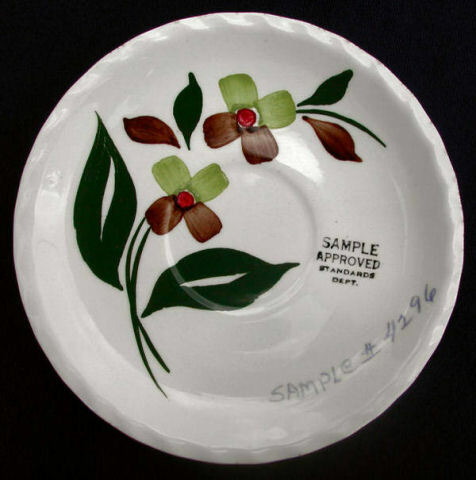 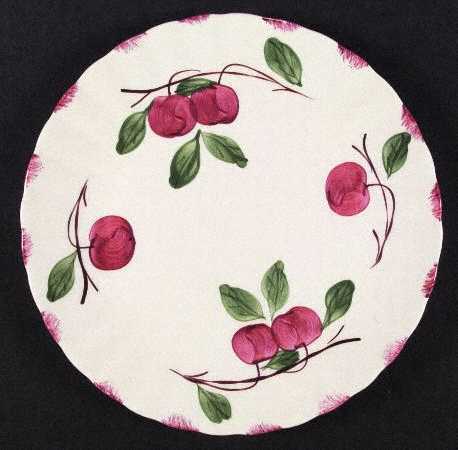 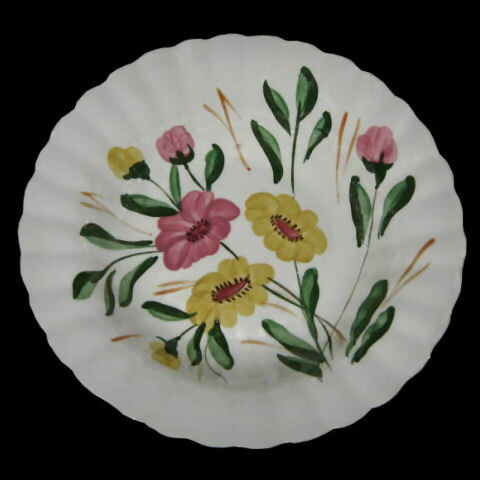 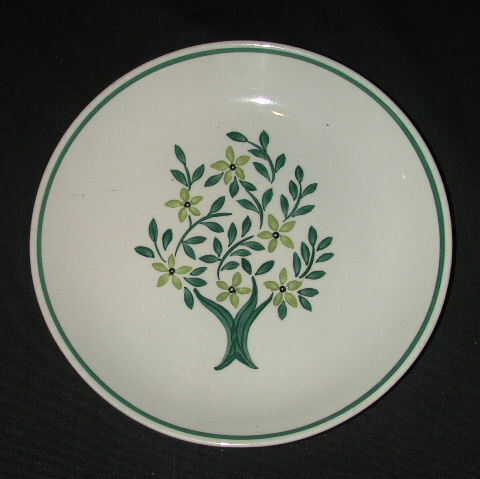 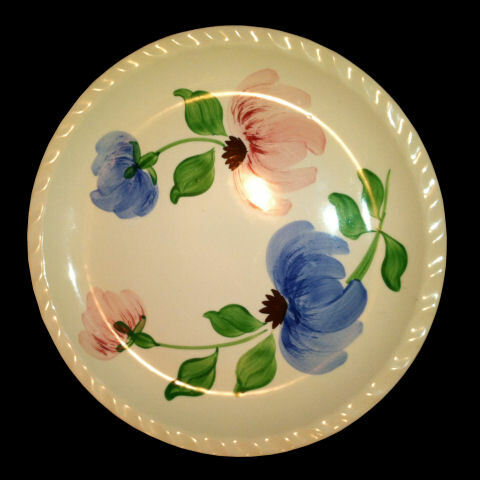 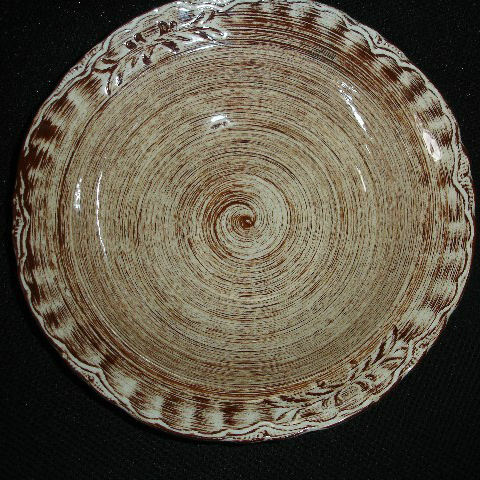 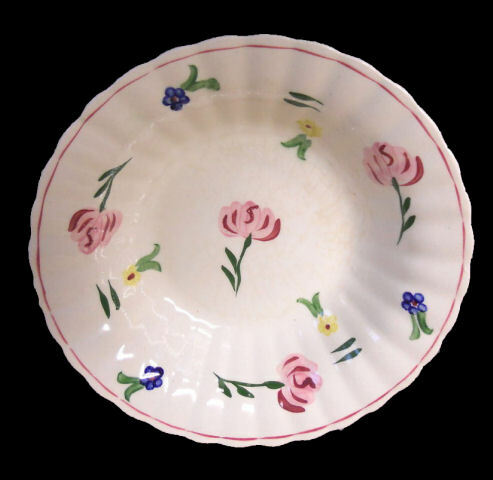 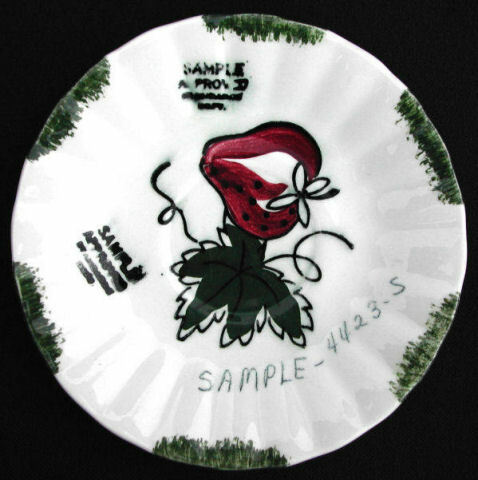 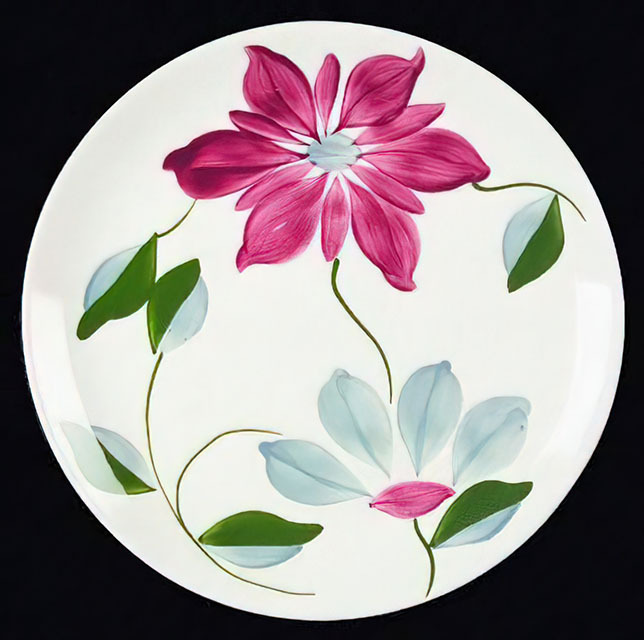 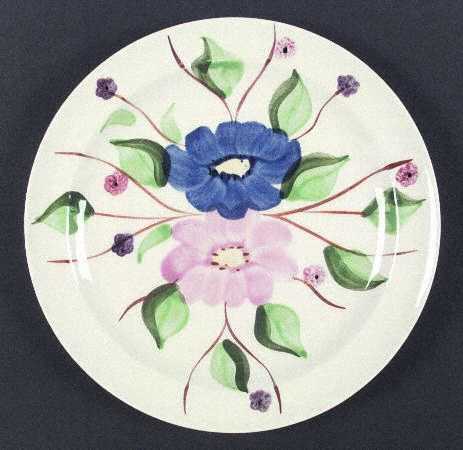 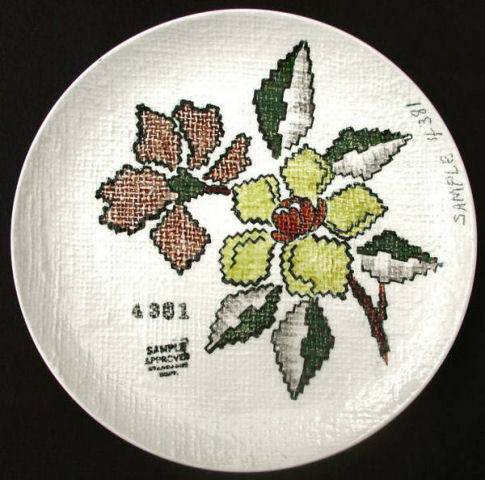 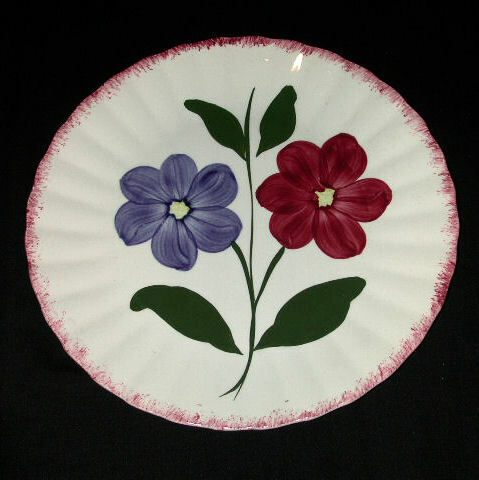 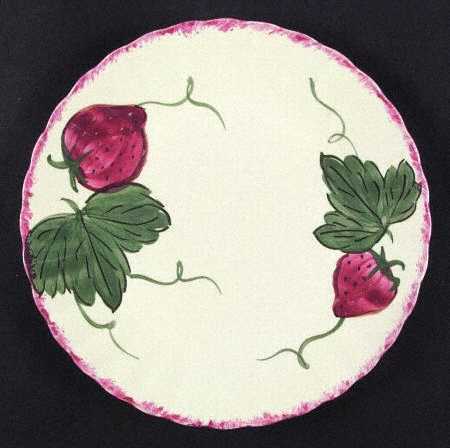 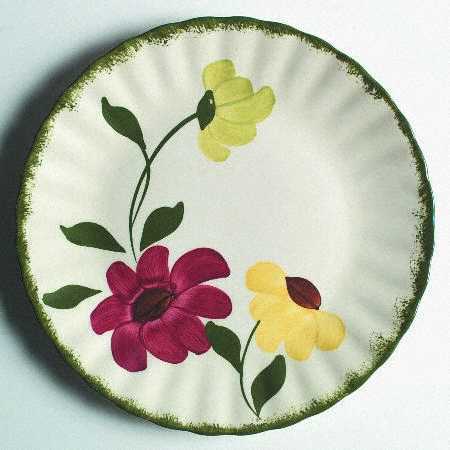 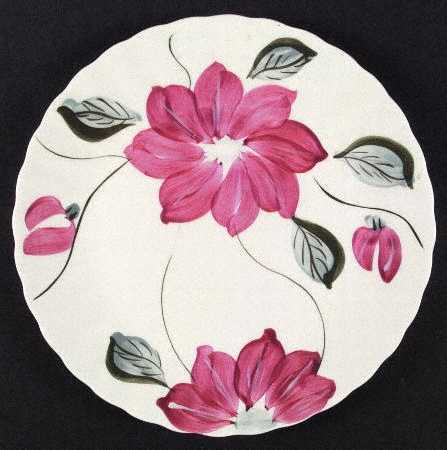 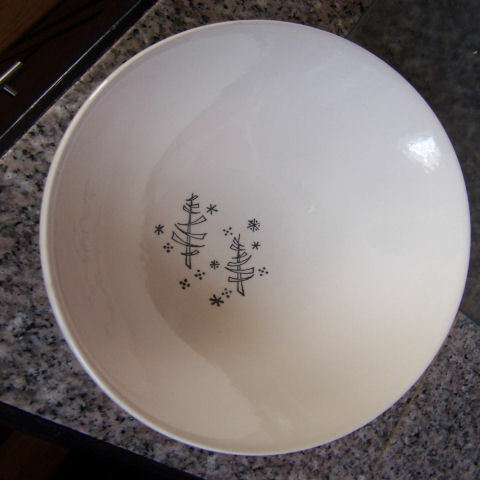 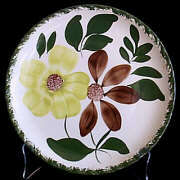 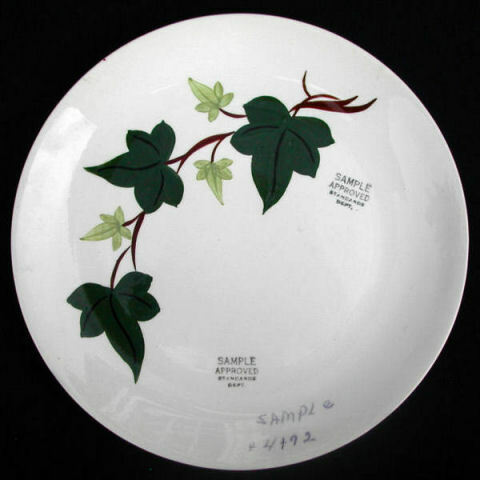 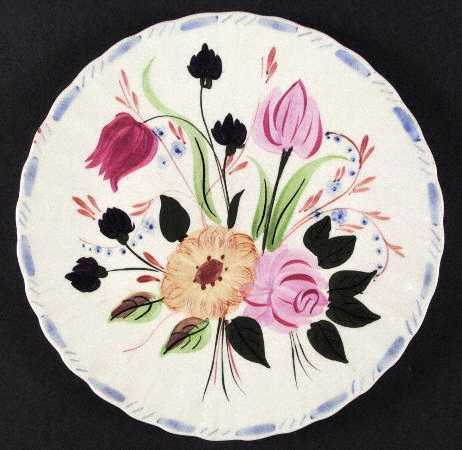 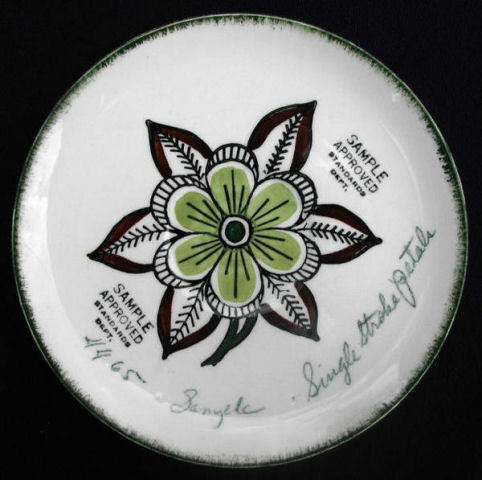 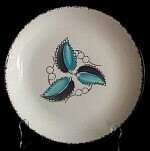 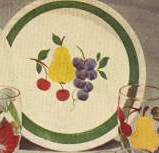 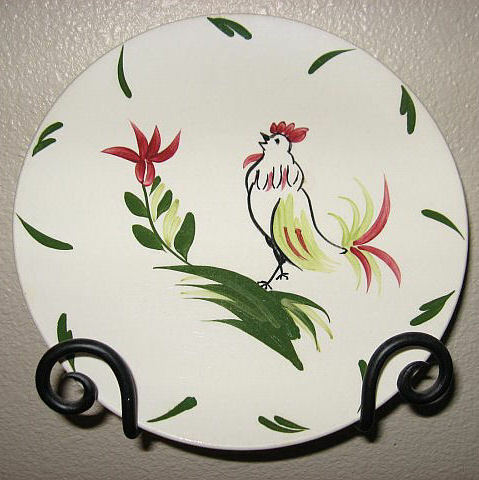 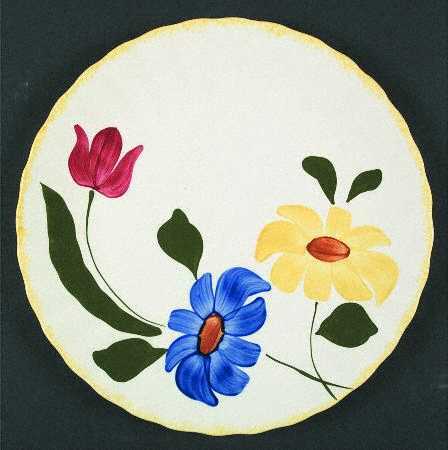 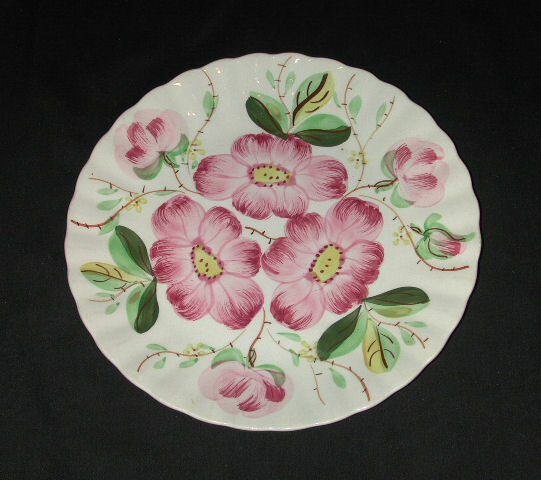 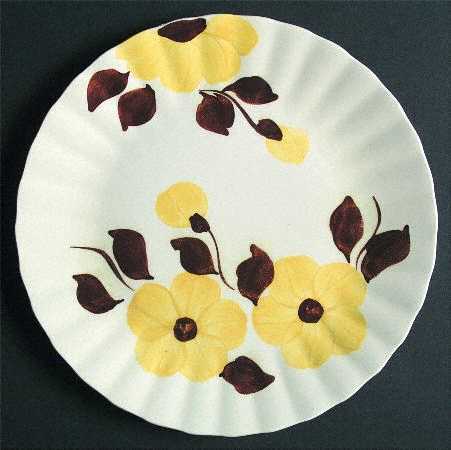 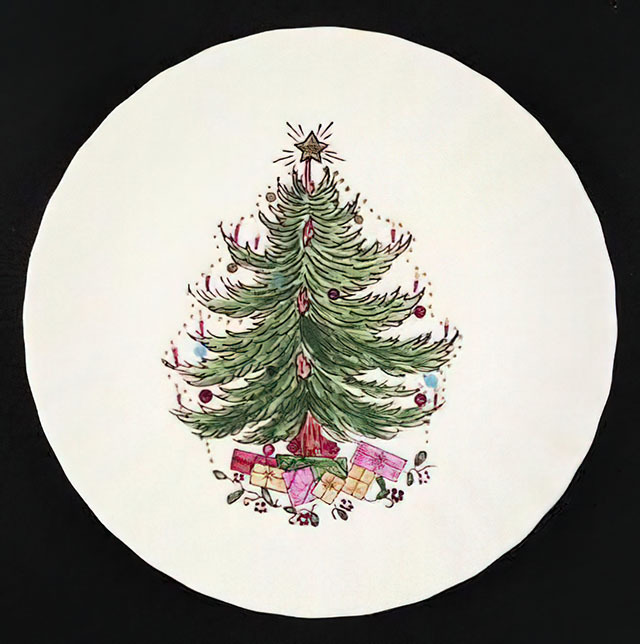 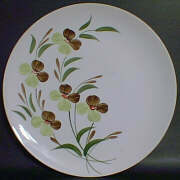 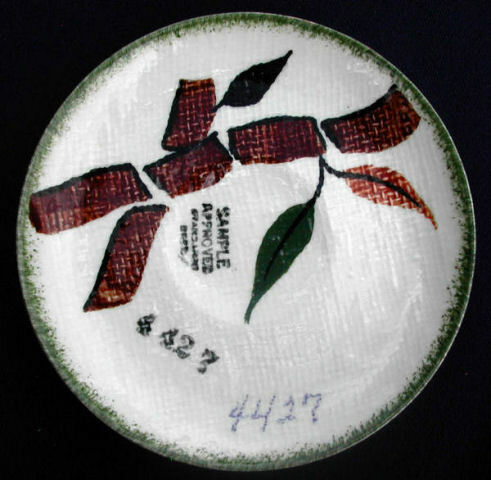 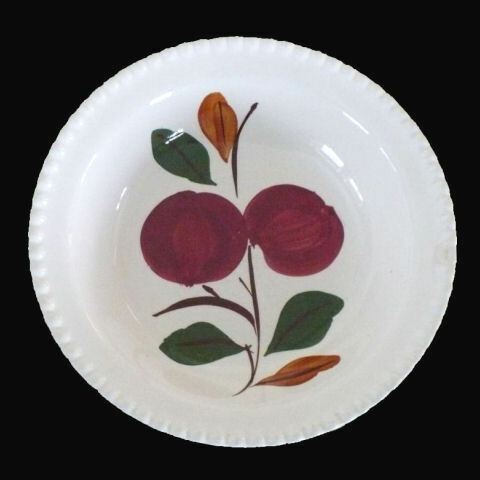 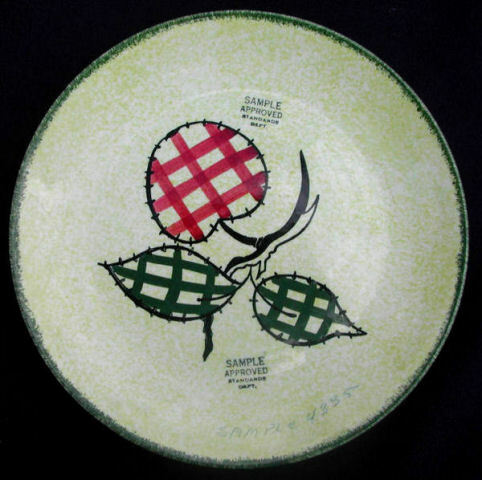 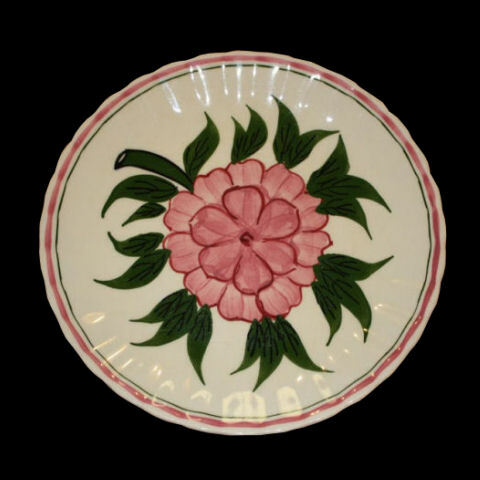 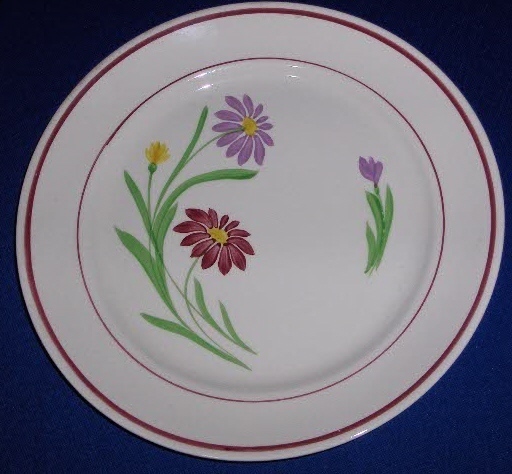 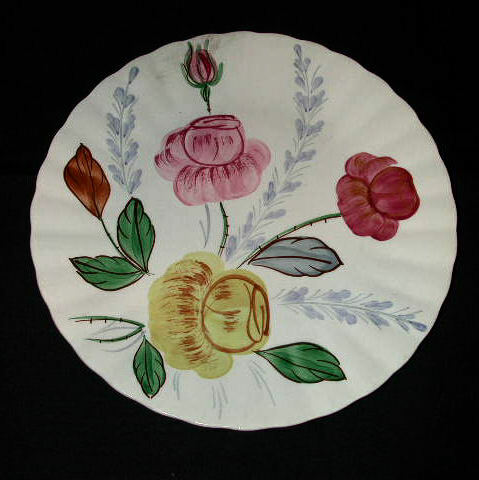 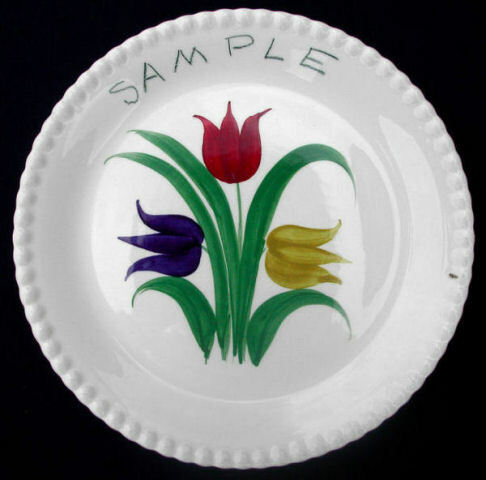 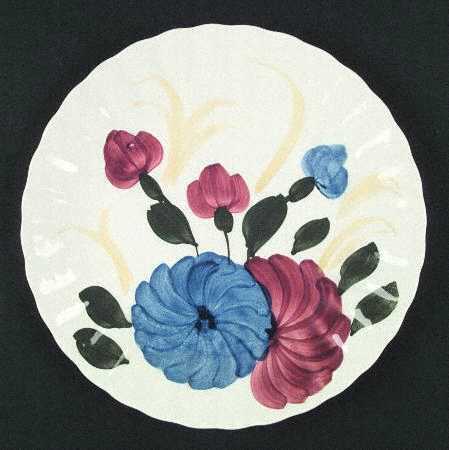 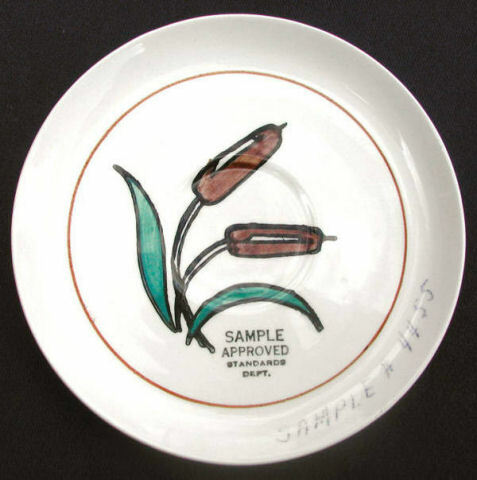 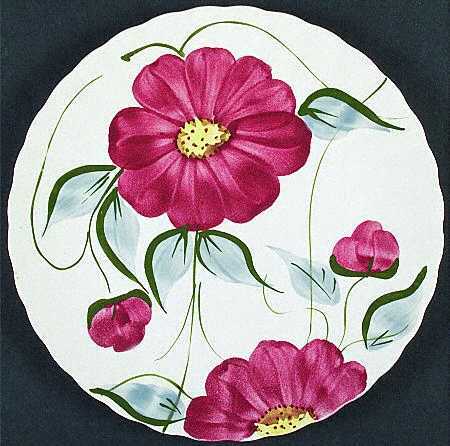 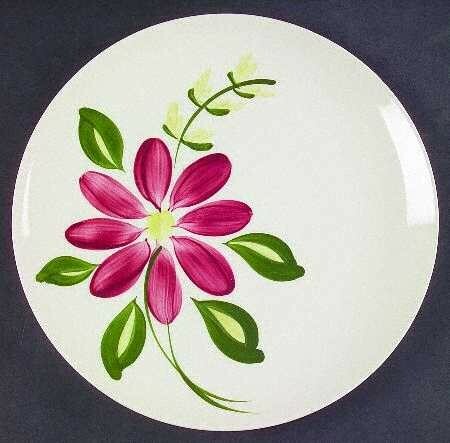 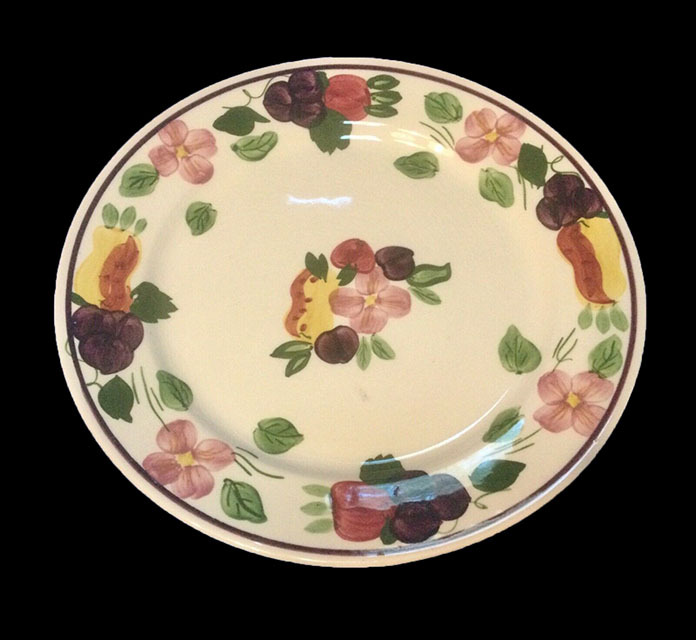 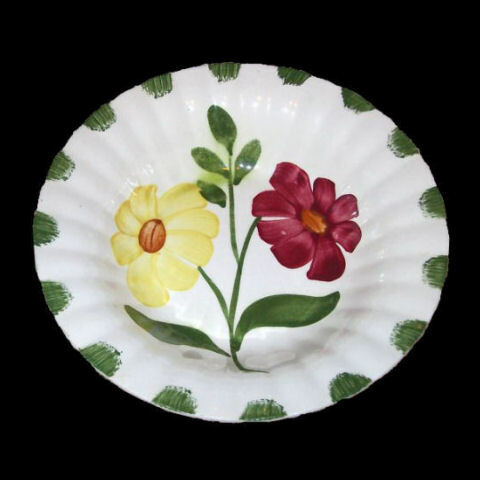 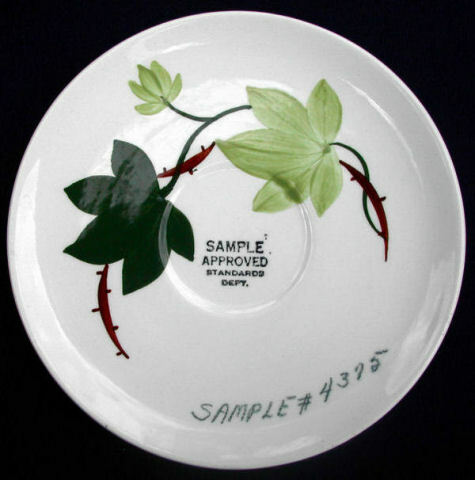 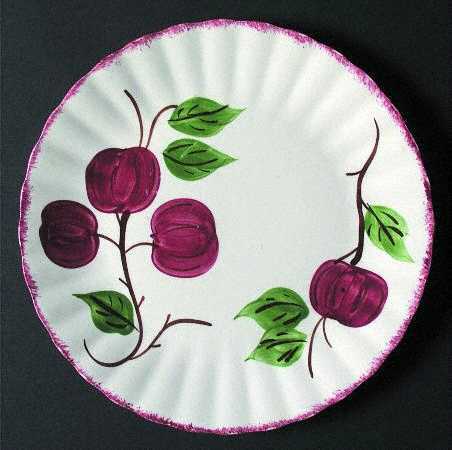 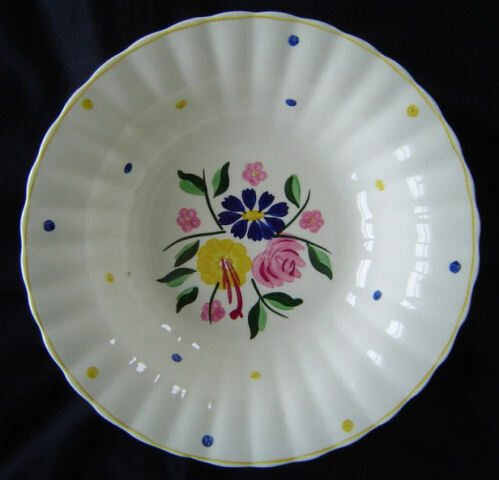 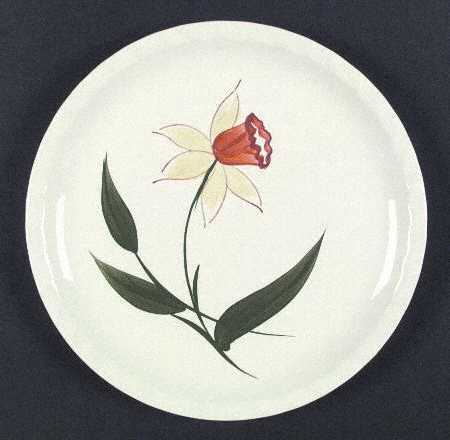 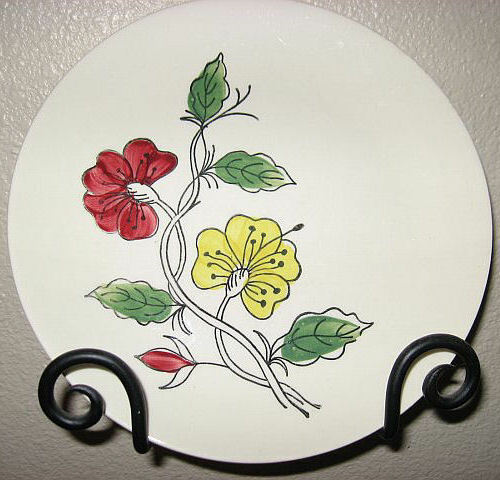 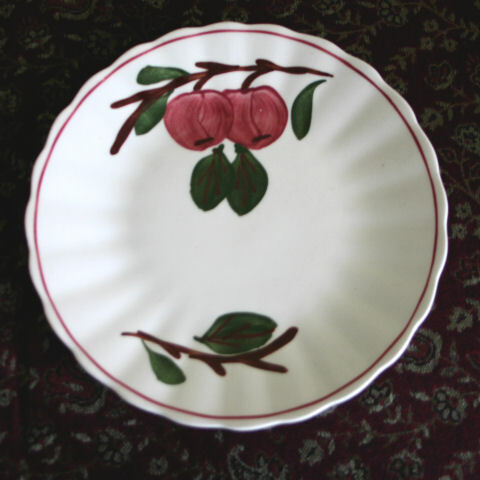 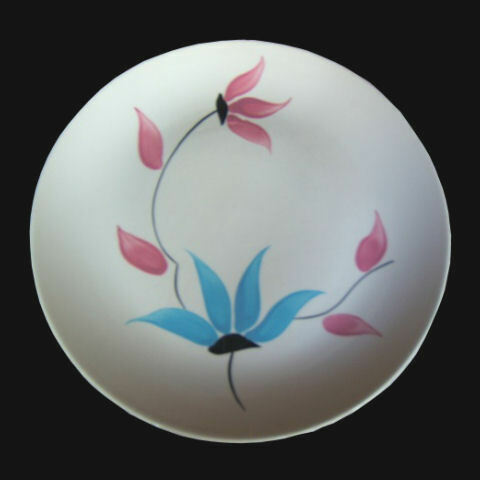 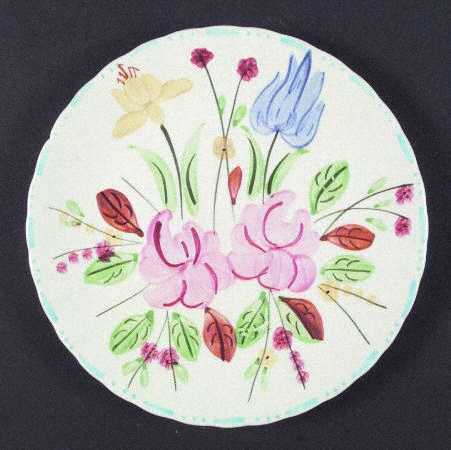 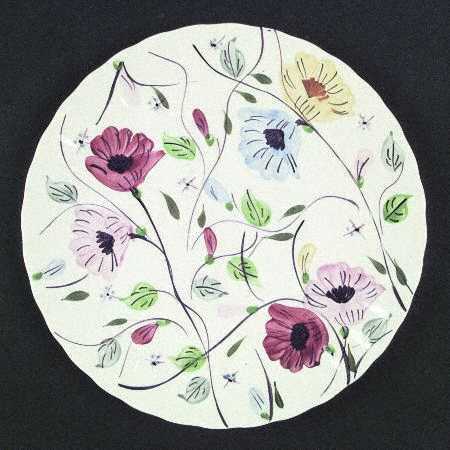 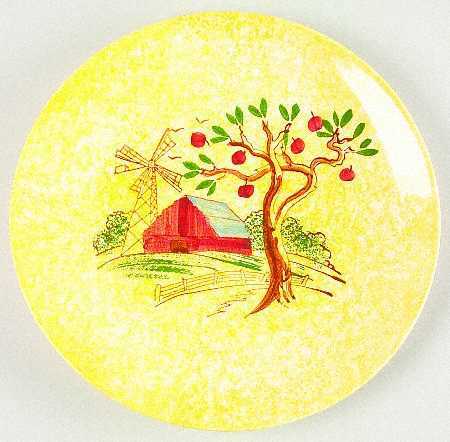 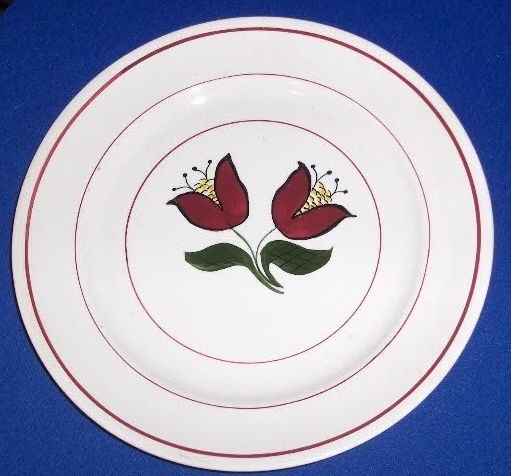 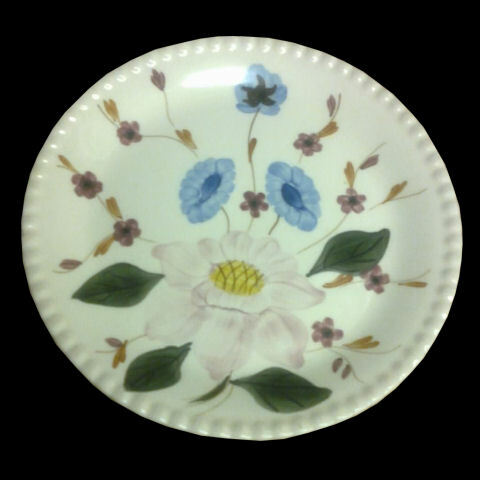 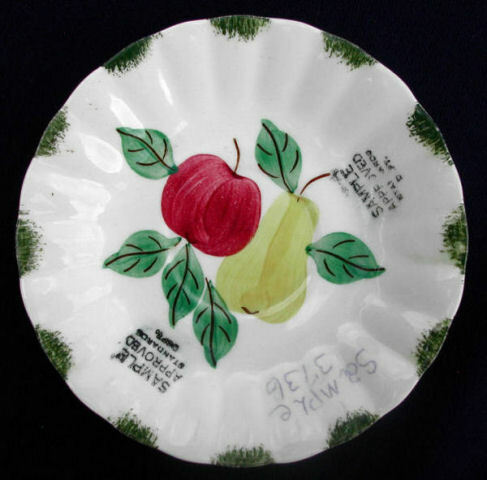 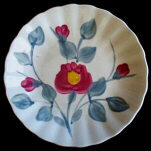 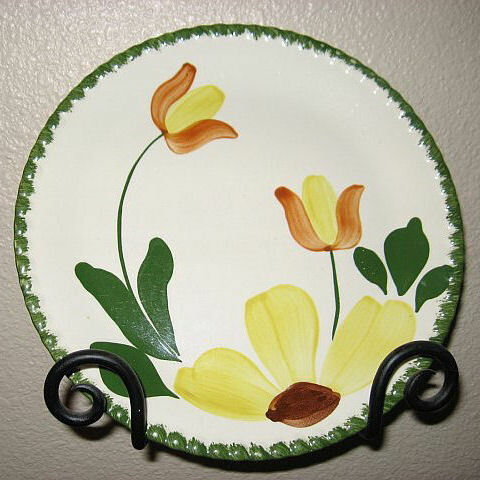 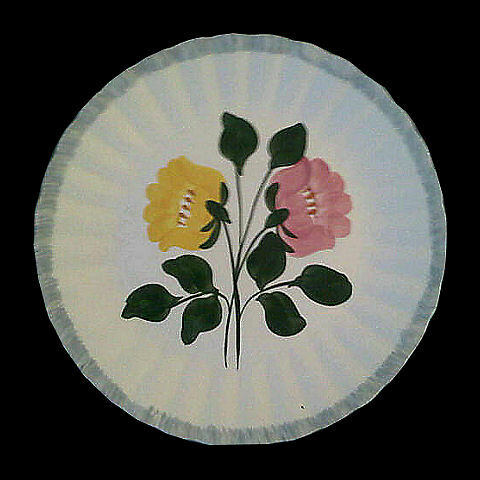 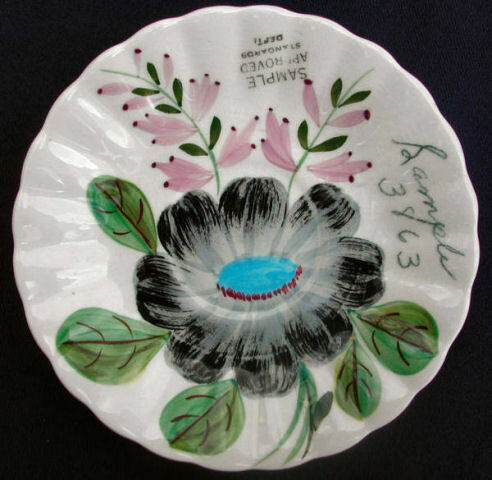 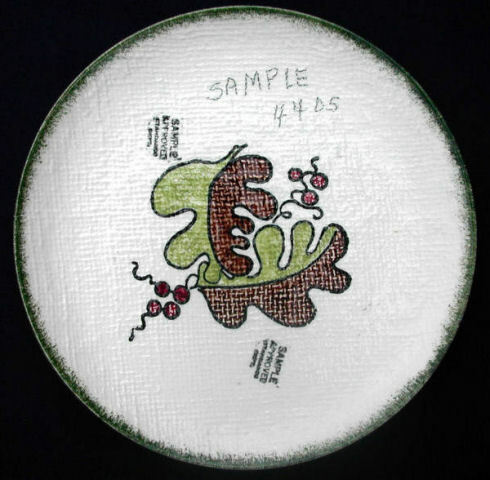 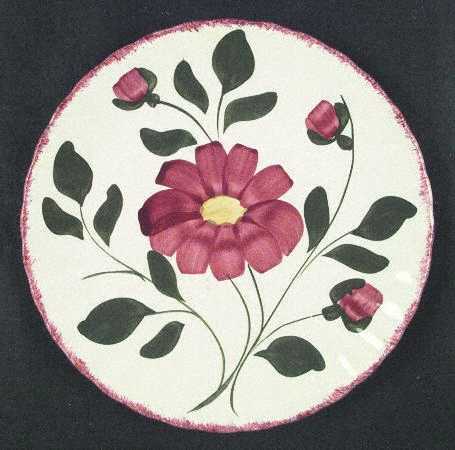 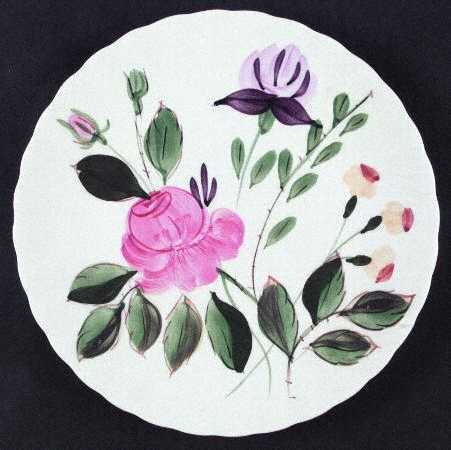 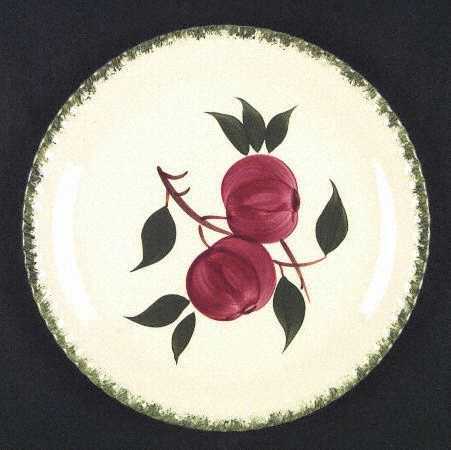 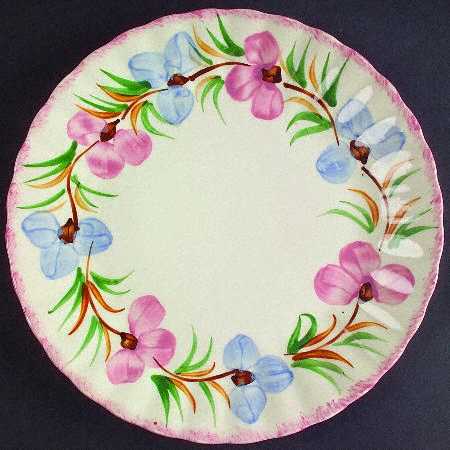 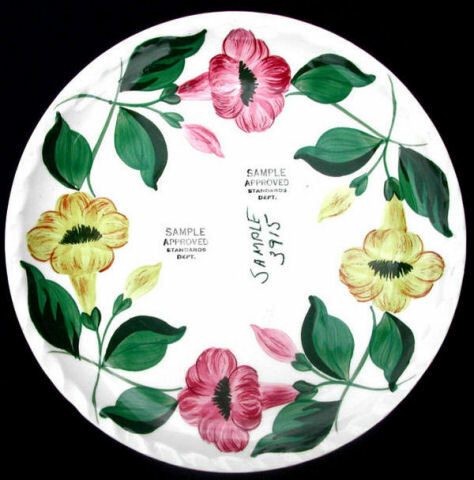 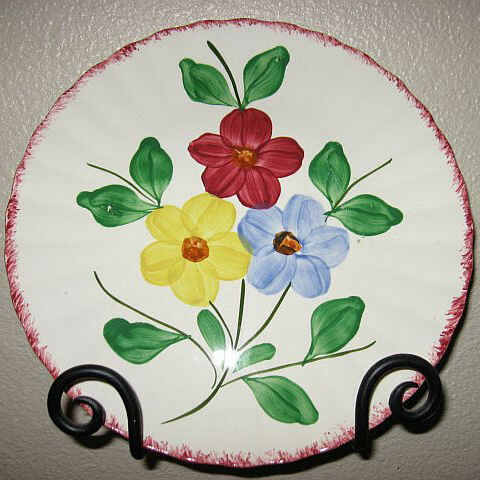 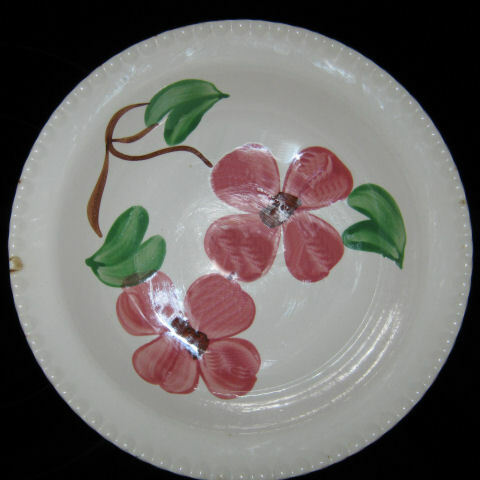 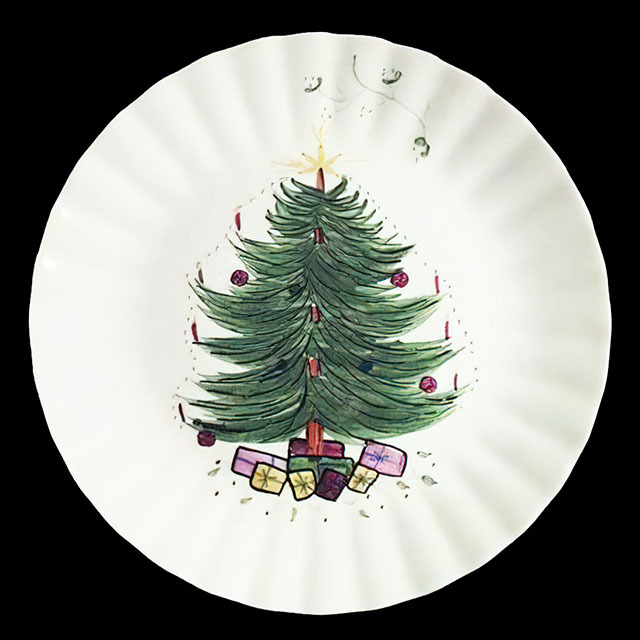 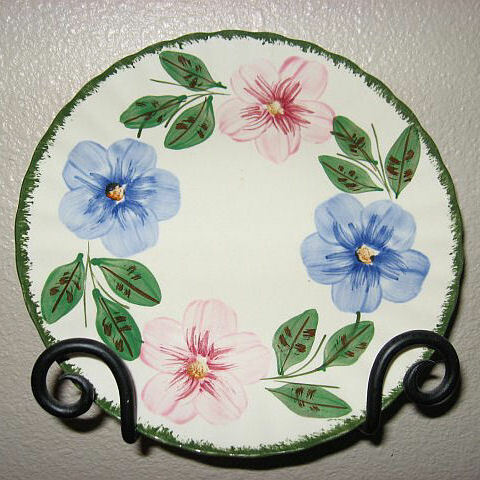 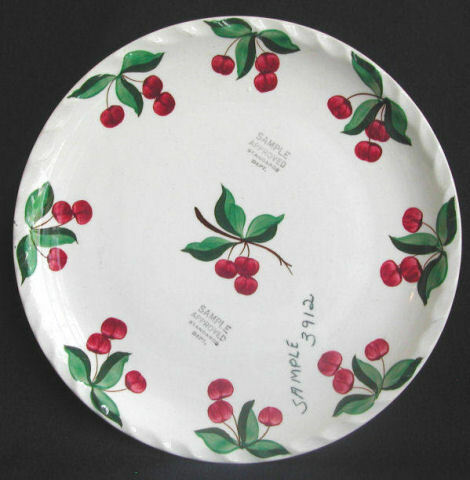 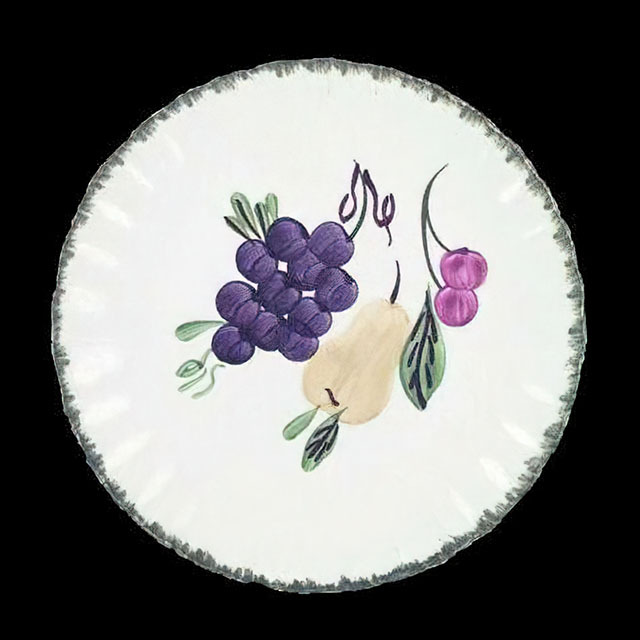 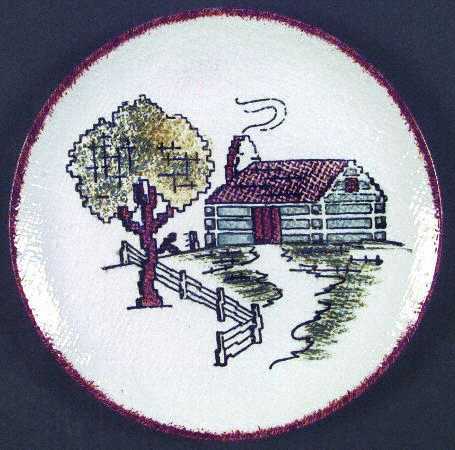 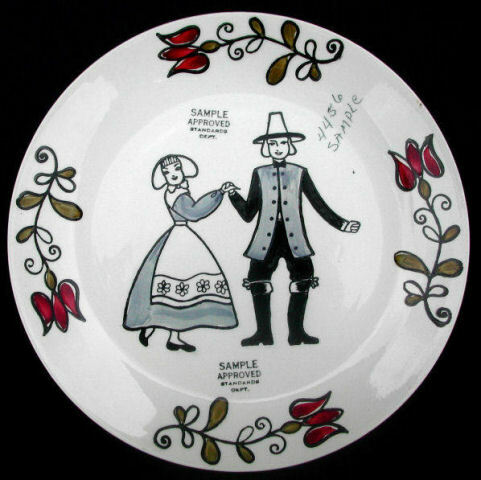 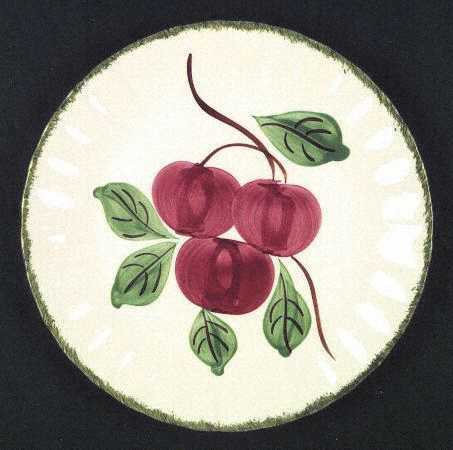 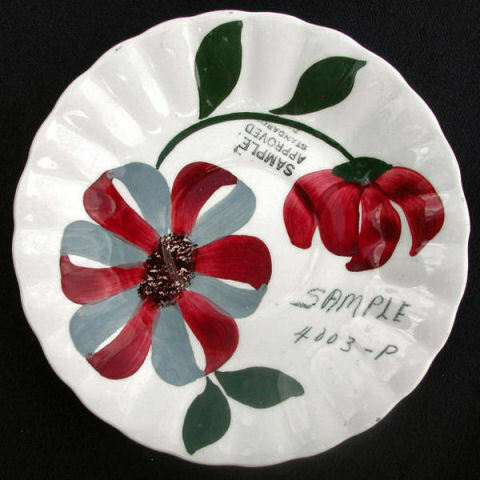 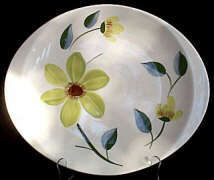 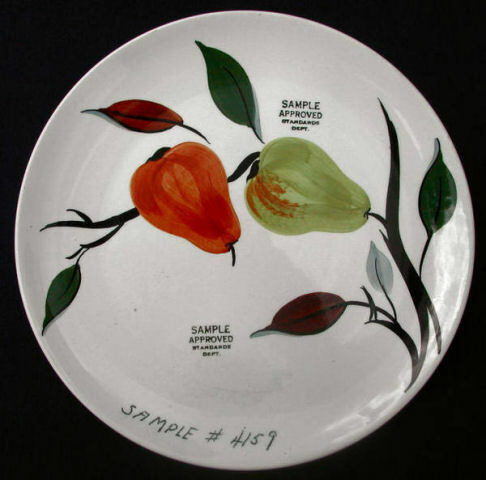 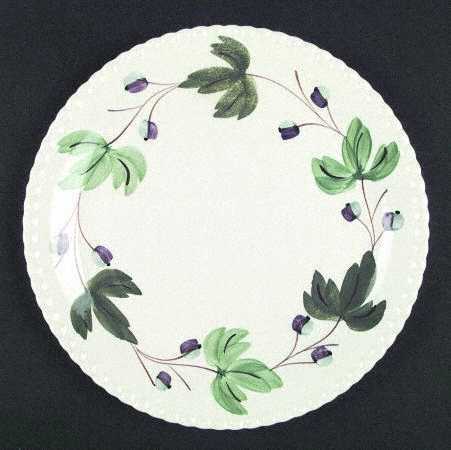 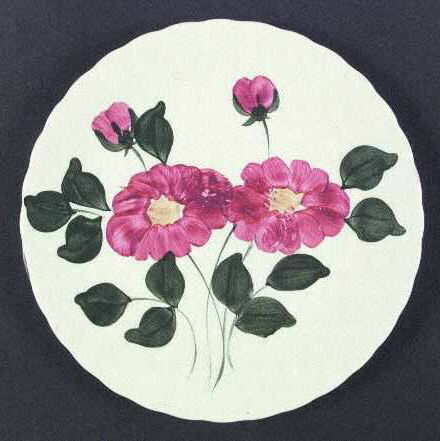 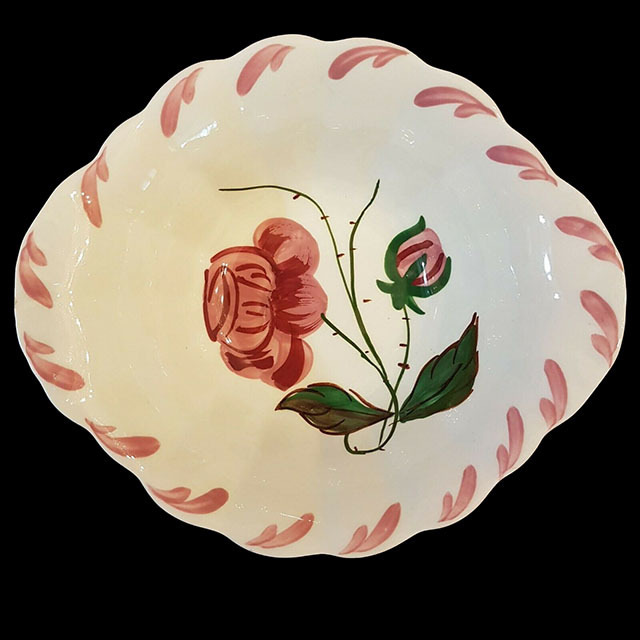 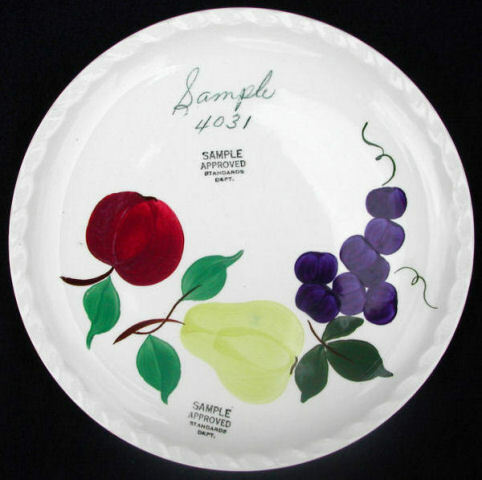 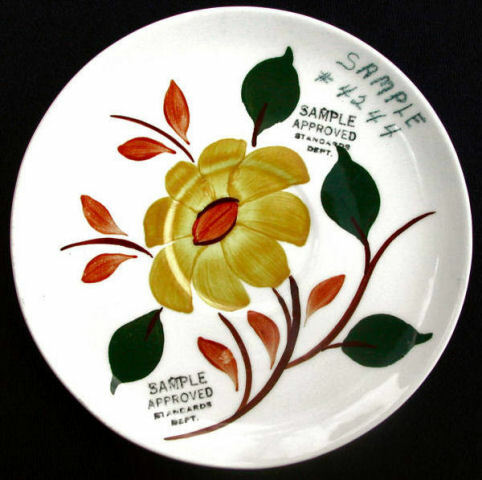 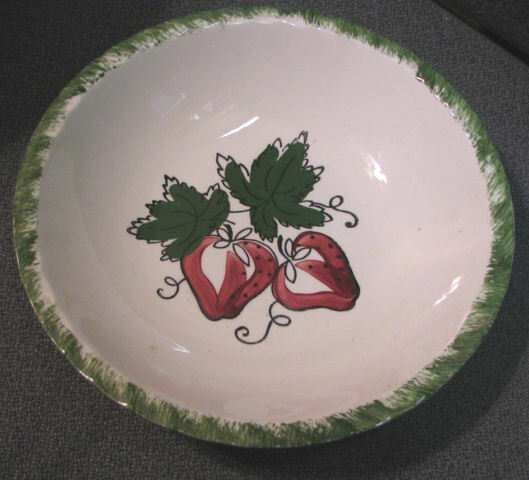 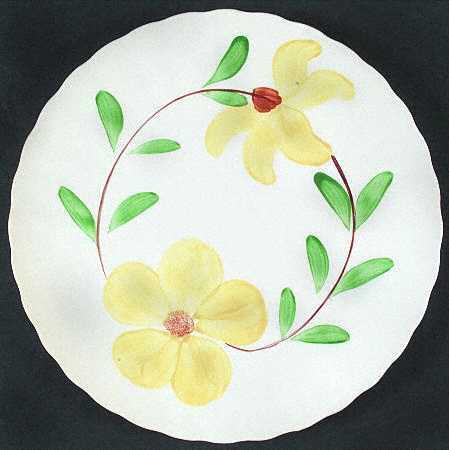 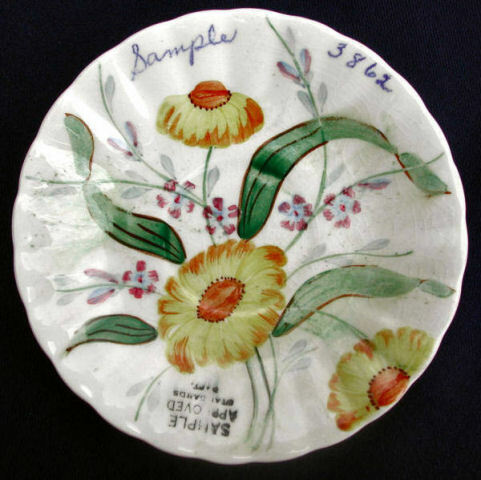 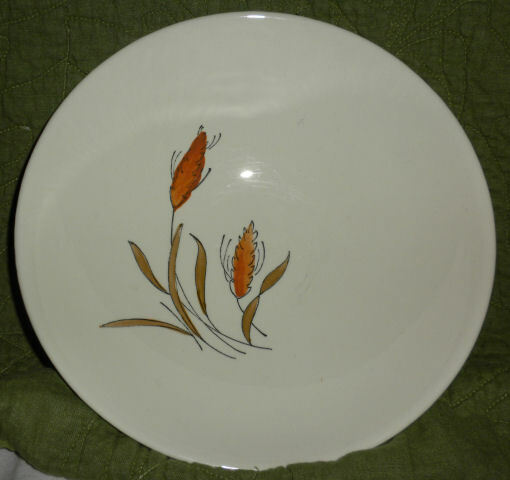 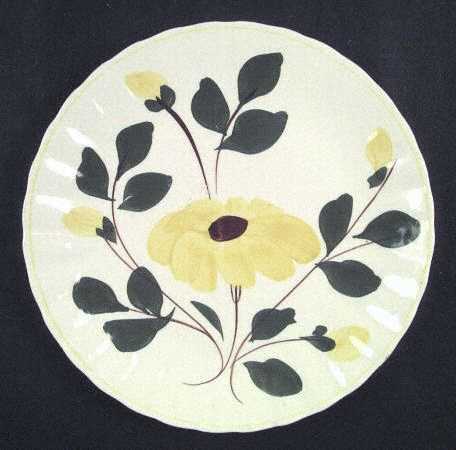 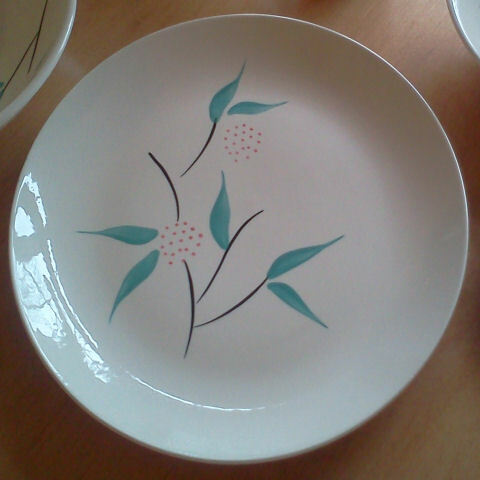 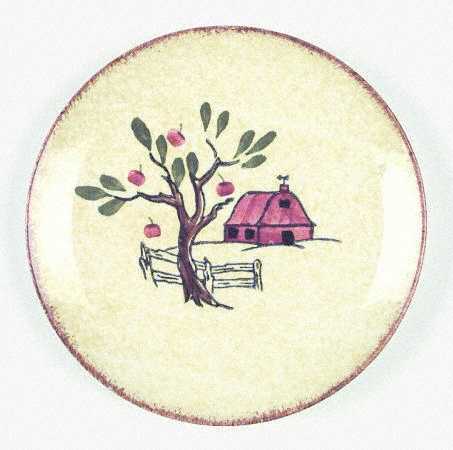 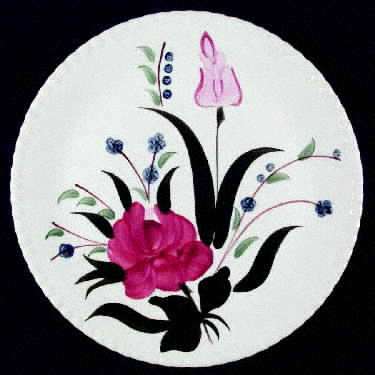 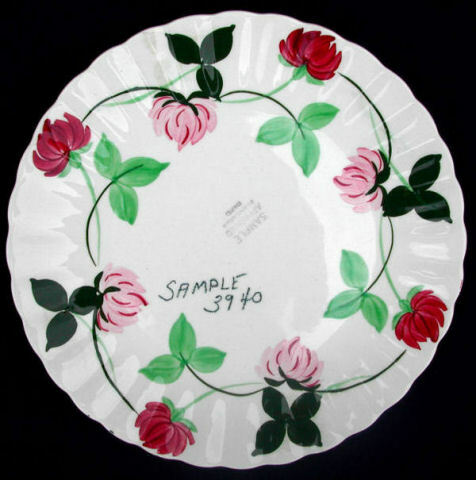 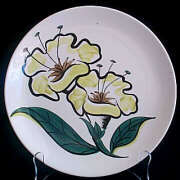 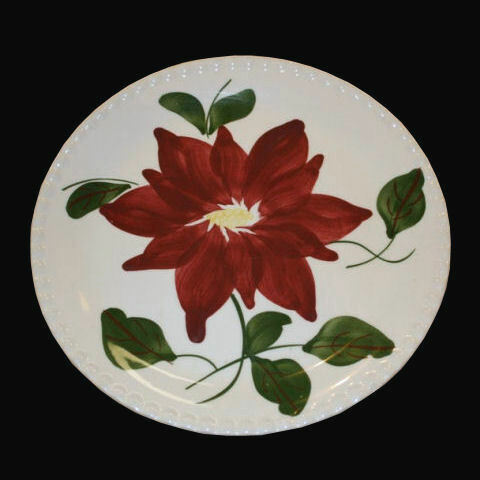 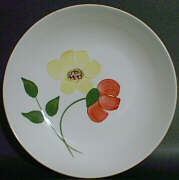 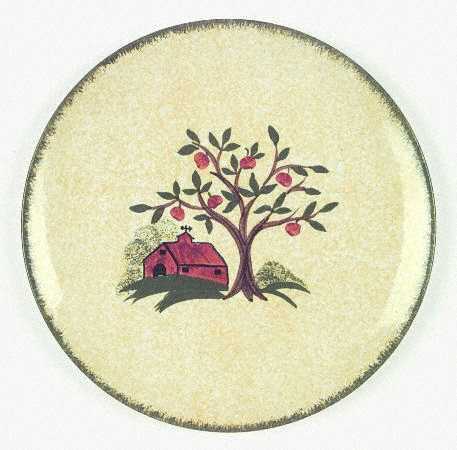 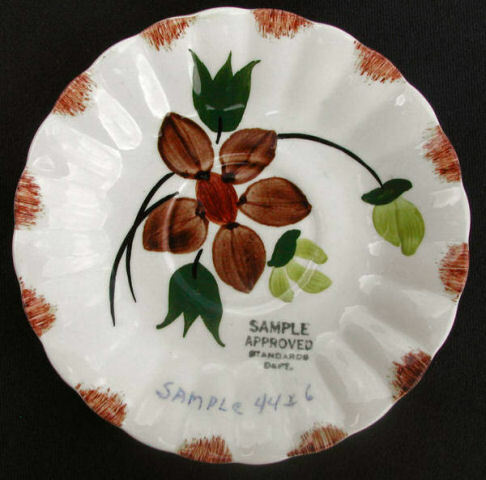 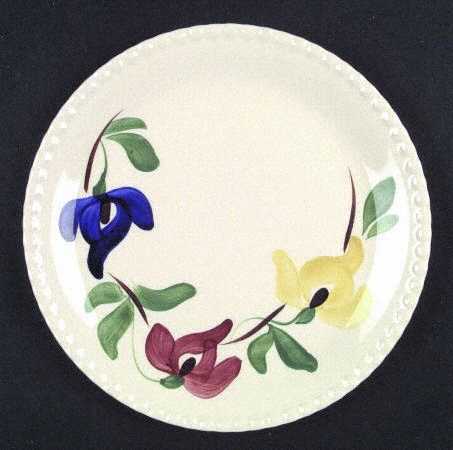 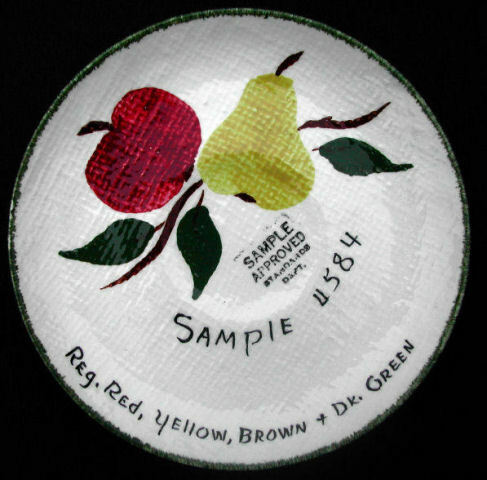 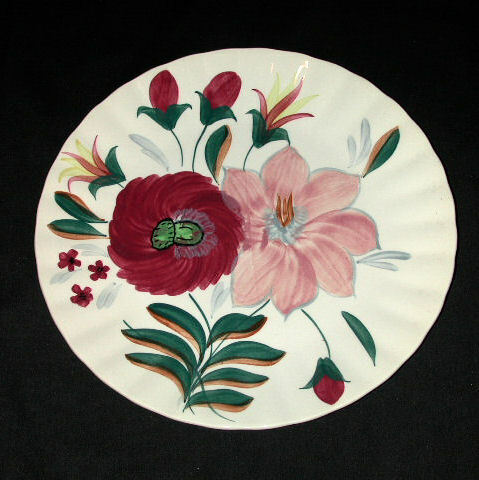 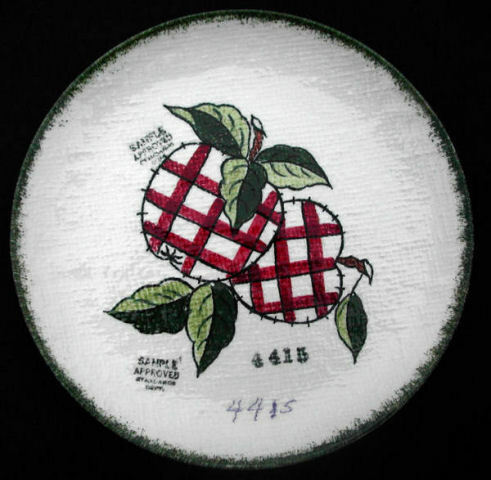 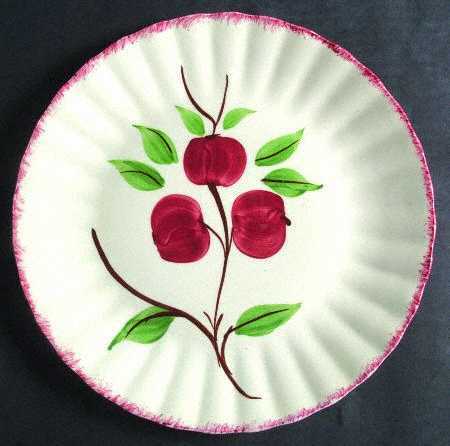 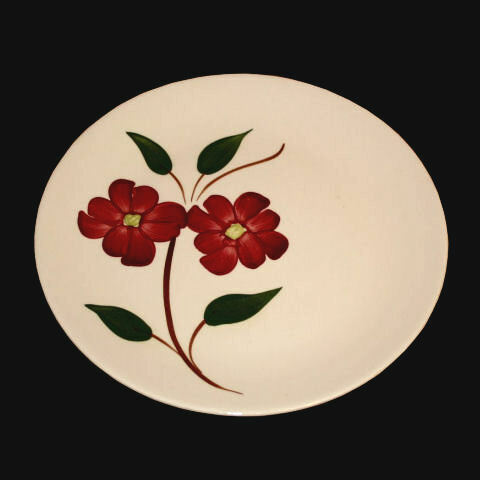 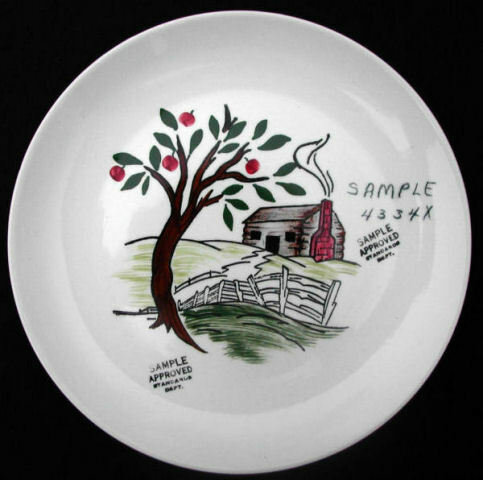 Southern Potteries produced thousands of different patterns so a picture (dinner plate, platter, or vegetable bowl is best) is necessary to identify the pattern. 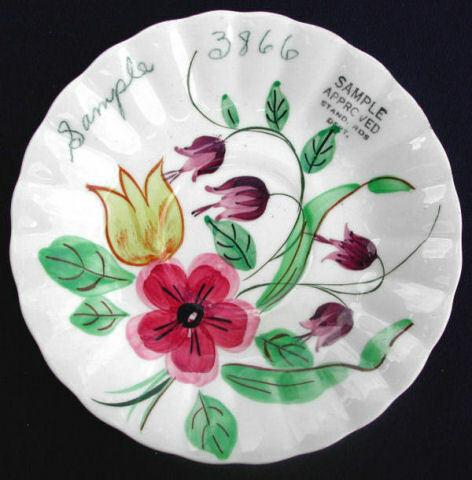 Pattern numbers aren't known for all patterns so this will not be a complete list. 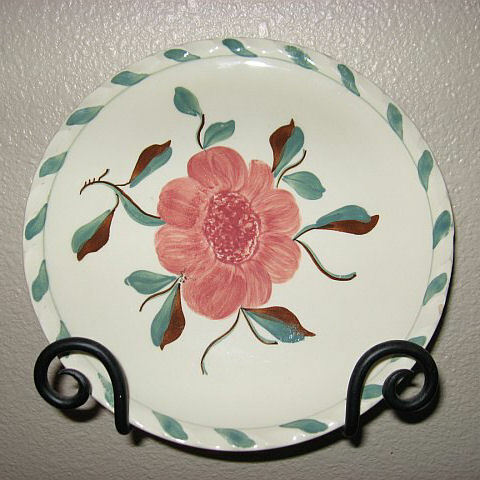 3772 Ridge Rose / Blue Tango?